Literary Lindsey: It's Monday - What are you reading? 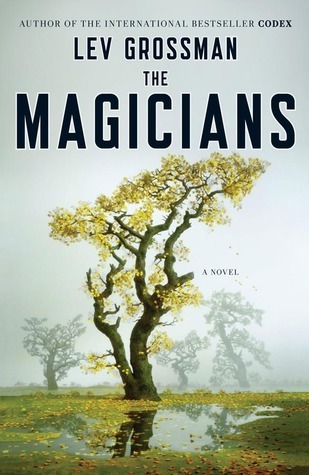 I am still listening to The Magicians, enjoying it so far! I'm enjoying it too! I'm glad it's working for you on audio. I haven't had an audio book going in a while! Code Name Verity looks really interesting, hope you like it! Thank you. I've heard so many good things about it - I'm psyched! I'm enjoying it so far. I hope you like it too! Fathers Day isn't until September for us in Australia! Enjoy Sesame Street! How funny! I never thought that you might have different dates for holidays like Mother's and Father's Day. We had a great time at Sesame Place. We did a ton of rides, saw a show, and even got some pictures with Grover. The Turn of the Screw is on my re-read TBR. My favorite read last week was Body and Soul by Stacey Kade. Please come see what else I'm reading. Haha, my tbr list is much too long to have a re-read tbr. Good luck tackling that list! Can't say I loved The Magicians, but it wasn't too bad. Code Name Verity is one I want to read as well - it's been getting a lot of good reviews. I'm liking it so far. I'm a little more than halfway done. I have only seen one negative review for Code Name Verity and lots of good ones. That seems like a good ratio to me! I saw code name Verity on the shelves at the library the other day. I was intrigued, not only by the cover, but I ended up putting it back...maybe I'll see what you think of it before I go back and find it :) Happy Reading! 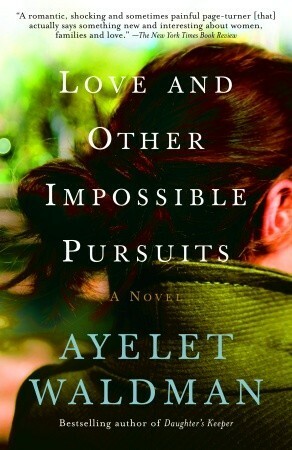 I've been on the wait list at my library, so I'm excited to get my hands on it! I've not read The Magicians, but it did read the sequel (yes, i know). It was good fun although it reminded me a bit too much of Narnia. Hope you're enjoying it. I have not heard of those books, hope your enjoying them. I am a new follower too. Thank you. I'm so happy you're following! The Magicians intrigues me. I'll be waiting to see if you like it. 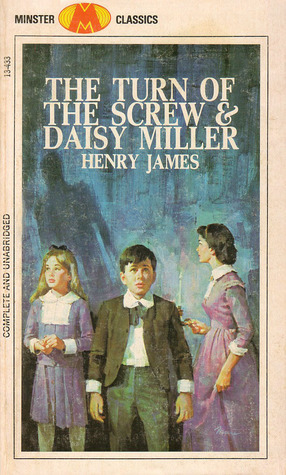 The cover of The Turn of the Screw looked so much like a Nancy Drew book that I first read it as The Mystery of the Screw and did a huge doubletake. I've heard great things about Code Name Verity but I'm waiting for the library waitlist to calm down. You are so right! I didn't notice that until you pointed it out. What would Nancy do about evil spirits trying to steal the souls of children??? Thanks for stopping by! I have Code Name Verity at home. I have heard that it is amazing, I can't wait to find the time to get to it. Hopefully, we will both love it!